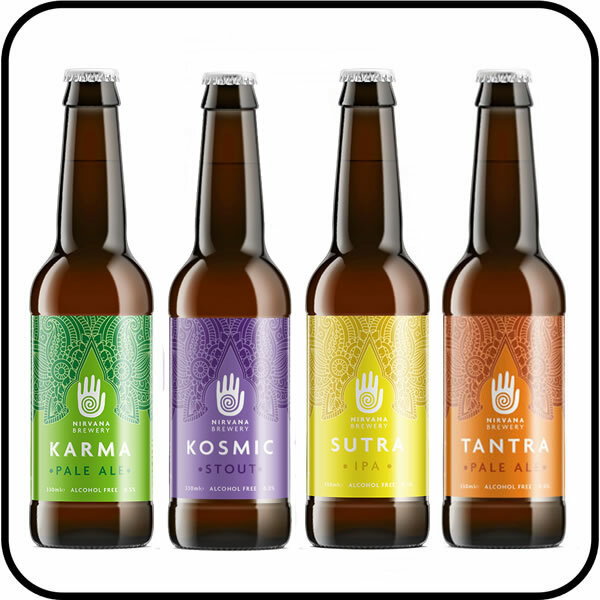 Exclusive: enjoy four amazing alcohol free beers in the Nirvana Craft Beer Collection. Firstly, Nirvana’s new IPA beer Sutra. With a light amber body and gentle carbonation. Savour those pine, spice and floral flavours and aromas. IPA is a classic with a curry, and bold, spicy puddings. Then, try the light refreshing low-alcohol Karma Pale Ale. A classic citrus and floral hop aroma leads to a dry bitter finish. Pairs well with lots of foods – try it with a simple chunk of cheddar cheese. Positive action returns a positive reaction. 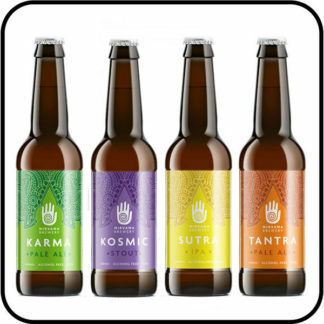 Next, it’s the zero-alcohol Nirvana Tantra Pale Ale 0.0% – 6/12 x 330mlBrewed using Nirvana’s favourite English hops, it offers floral aromas with hints of spice and tangerine. Finally, a burst of deep chocolate joy with zero-alcohol Kosmic Stout. Hints of vanilla are well balanced by a smooth malted hop base. Connect with the higher consciousness. 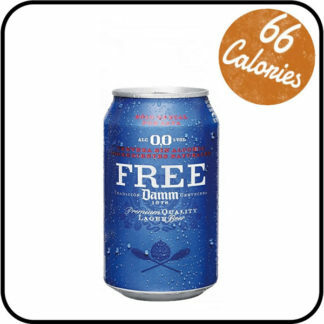 It lingers in the mouth like a comforting pudding, but it’s only 100 calories for 500ml. 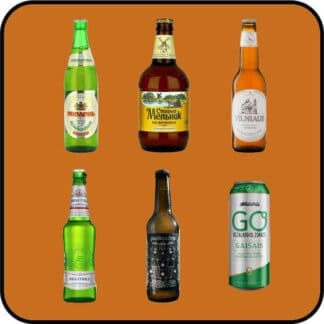 These cosmic craft brewers have asked Dry Drinker – the UK’s most trusted alcohol-free store – to offer their four beers before anyone else. So, how grounded are Nirvana? They even run yoga sessions at their brewery near the banks of London’s River Lea. 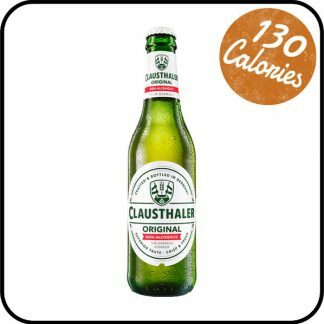 You could do a Downward Dog after drinking one of these beauties (but you don’t have to). And they’ve been getting great reviews. 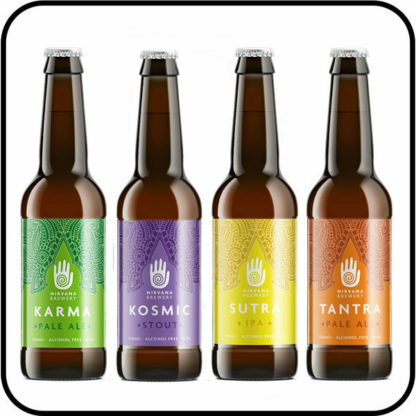 So, if you’re a craft beer fan looking for light beers, cutting back for health reasons or just fancy a lifestyle change, break free from entangled roots, escape the woven web, and liberate your tastebuds with this epic line-up from Nirvana Brewery.